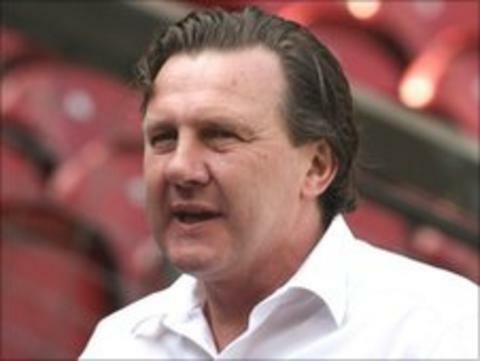 Bradford City have confirmed Peter Jackson as their new manager on a permanent basis. The 50-year-old has been in temporary charge at Valley Parade since Peter Taylor left the club in February. Former Bradford defender Jackson led the Bantams to four wins from 14 games and an 18th-place League Two finish during his caretaker spell last season. Jackson has previously managed Lincoln City, before which he spent two spells as boss of Huddersfield Town. He told BBC Radio Leeds: "I'm delighted - I think you know how much the club means to me and how much the job means to me. "It's a really big honour and it's an exciting year ahead for me. "I think it's been a decline over the last six or seven years at the football club, not just the last six or seven months. "Now we have the opportunity to have the clear-out, and we can't go any lower than where we finished this season. "How we finished, with the threat of administration and the threat of going up to Odsal, we can't go any lower. The only way this club will go now is up." Bradford's joint-chairman Mark Lawn told the club website that Jackson had lifted the club since his arrival. "He got a very poor side galvanised together enough to get us the vital amount of points we needed to keep us in this league," he said. He added: "I'm looking forward to next season with Peter at the helm. I think the style of football that Peter wants to play is attacking football. He's looking at strikers first which I think says it all."